Having not seen my friend Melissa in quite awhile, and the rain hampering our usual outdoor rompings, we did what any darling gals might do– bake cookies. 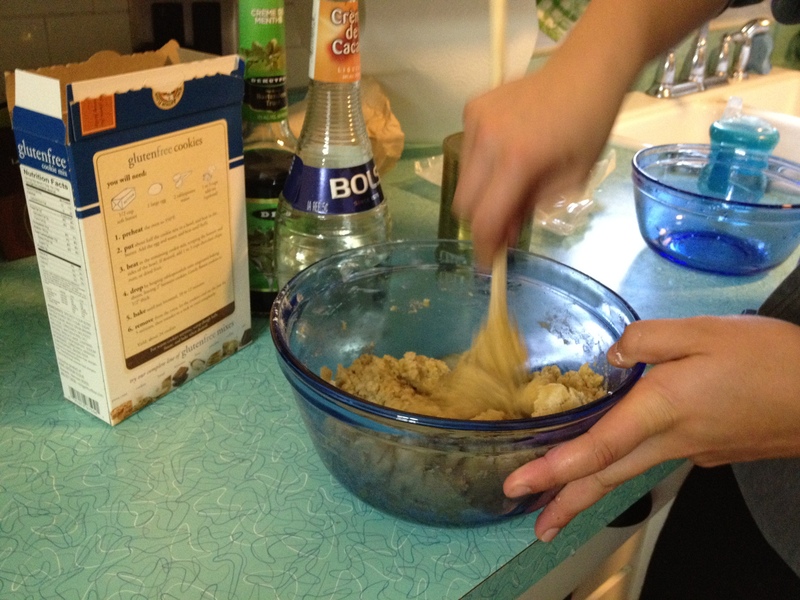 The base– King Arthur’s gluten free cookie mix (woot woot, shout out to a Fantastic VT company!). We split the dough in half and added creme de menthe to one half (stirring well). In a separate bowl, we stirred the other half with cocoa powder. 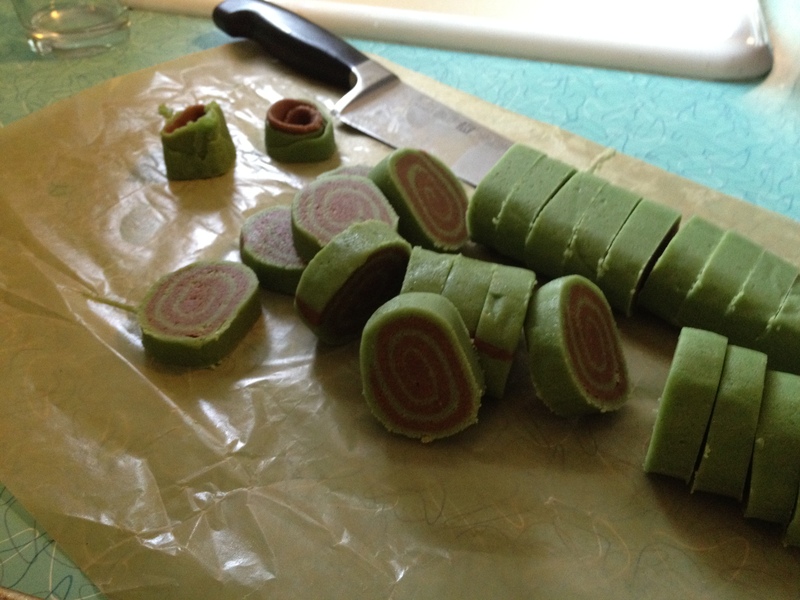 Each half was rolled out separately on wax paper and stuck in the freezer for awhile (go have a cocktail while you wait). 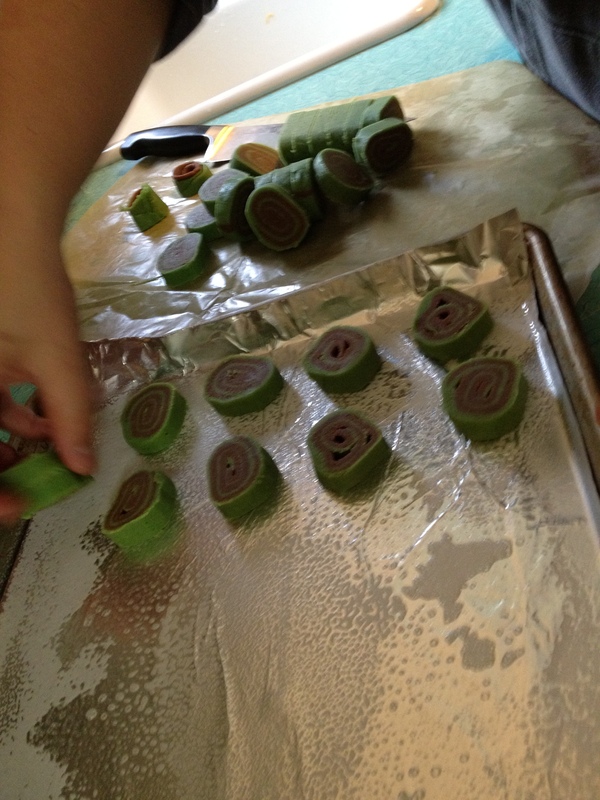 Then, the layers were put on top of each other and rolled tightly to make a log. Not unlike rolling sushi, if you know what I mean. Back in the freezer. Go play with the dog and the baby. Slice the cookie log, place on greased cookie sheet and bake according to directions. Getting ready for the oven! Let your imagination go wild. I’m thinking peanut butter and chocolate. Vanilla and raspberry. Nom Nom Nom. This entry was posted in Baking, Vermont products and tagged chocolate, cookies, drinks, mint, pinwheels on October 17, 2012 by gfvermont.